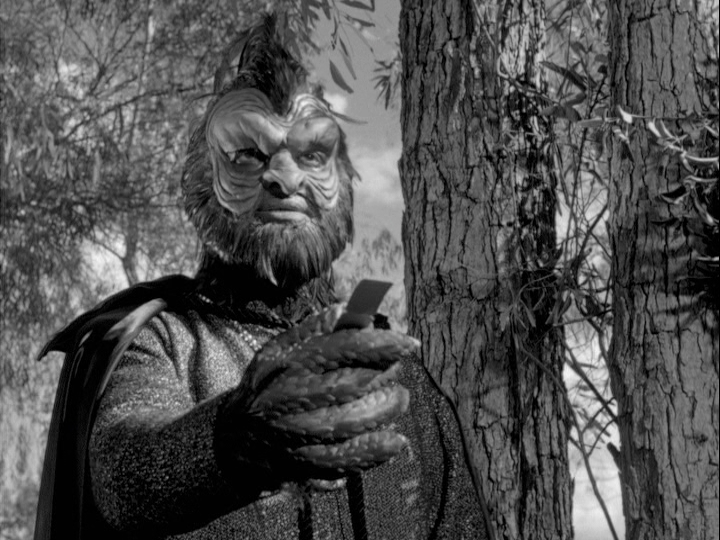 The last episode of The Outer Limits’ first season was broadcast on ABC on May 4, 1964. The series had been renewed for a second season, however, there was one big caveat with that renewal. The program, which had built a devoted and loyal audience during its first season, was being moved from Mondays at 7:30, to Saturday nights at 7:30. During its first season, The Outer Limits competition was the NBC Monday Night Movie, and a pair of game shows on CBS—To Tell The Truth and I’ve Got a Secret—both of which finished that year in the top thirty, something that The Outer Limits would never do. With the move to Saturday nights came another set of problems far beyond those of the “monster of the week” that largely comprised the first season. Though The Outer Limits often dealt with stories of aliens, they couldn’t deal with the very real threat of being up against one of TV’s powerhouses, The Jackie Gleason Show on CBS (over on NBC they were up against Flipper and The Famous Adventures of Mr. Magoo). 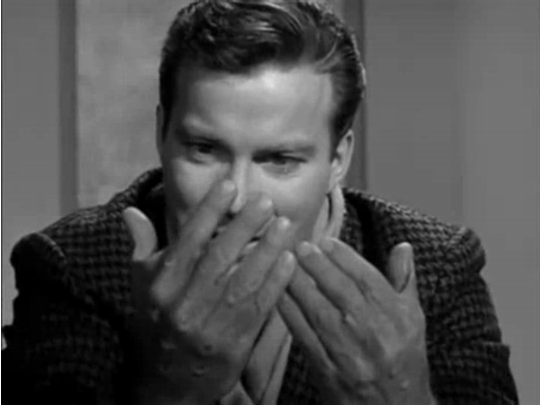 After season one produced a then-standard season of 32 episodes, ABC pulled the plug on The Outer Limits mid-way through its second year, ending with only 17 episodes. So who is this Ben Brady and what is he doing in The Outer Limits? Brady’s greatest TV success up to his time in the chair for Limits was producing the first two seasons of CBS’s long-running hit, Perry Mason. Brady had been a lawyer before switching to work in entertainment. But since 1962 Brady had been a VP of programming at ABC where he was one the executives who gave the green light to Stevens original Outer Limits pilot, Please Stand By. 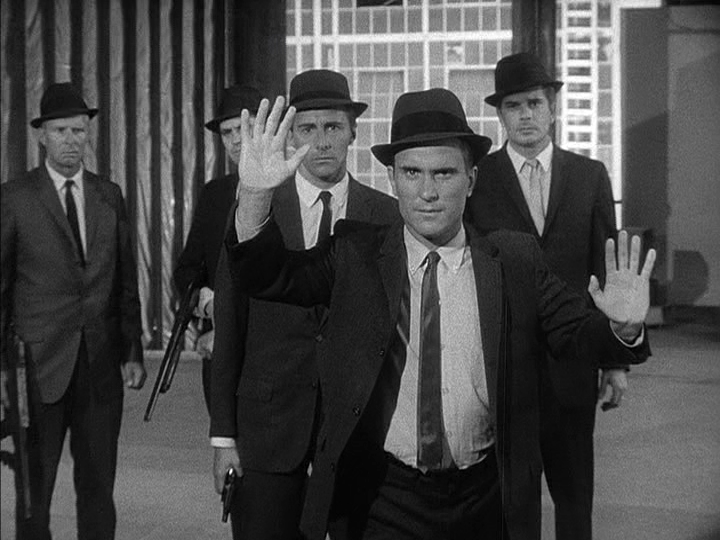 The reconfigured Second Season of The Outer Limits debuted on September 19, 1964, with the episode “Soldier,” one of two episodes from the season written by the late Harlan Ellison. 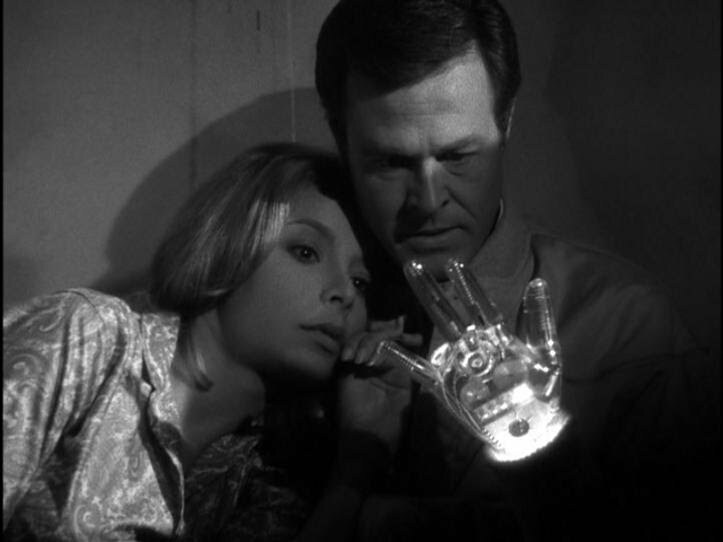 Though Ellison’s two episodes, the other being the standout of the season “Demon with a Glass Hand,” could have easily fit into season one, there is, from the get-go, a different feeling. Not aided by a new music supervisor for the series who replaced both the main and end title’s score. The series, now opening with a set of cheesy theremin cues that sound left over from a Universal B picture, are also eerily similar to the theme to future ABC hit Dark Shadows. This theme overhaul is really off-putting, and feels a bit more “generic” than what Season One had to offer. Another notable change is how there is a “sameness” to the narration by Vic Perrin’s Control Voice, something that is noted on a few of the commentary tracks I sampled. Is this to say that Season Two is overall bad? No, not at all. While it is a bit of deflation from Season One, Season Two is still entertaining and worth your time. There’s plenty of good episodes to be found here, and some real gems like the aforementioned “Demon with a Glass Hand” starring Robert Culp, “Cold Hands, Warm Heart” with William Shatner, “Wolf 359” with Patrick O’Neal, “The Inheritors” part one and two—the only two-parter in the whole run, starring Robert Duvall. Though the Halloween 1964 broadcast of “The Invisible Enemy” really isn’t quite a landmark episode, for personal reasons, I really liked it( the episode stars The Mary Tyler Moore Show’s Ted Knight and a yet unmasked Adam West, just two years away from Batman). Even the lesser episodes are entertaining, in fact, the only stinker is “Cry of Silence”— with Eddie Albert fighting off killer tumbleweeds in a rural setting—finally answering the question “What would Green Acres in hell be like?” Collectively, The Outer Limits second season is a worthy piece of entertainment, and anyone who bought KinoLorber’s Season One boxset should complete their collection with Season Two. All 17 episodes are presented in full 1080p resolution with DTS-HD MA audio tracks, and they look and sound great! Though it tends to shy away from that noir look that Season One embraced, the black and white images across all episodes are solid. Once again I single out “Demon with a Glass Hand”—which has a VERY noir look—and looks truly spectacular. Equally spectacular is the collection’s overwhelming amount of special features. Just like the first set, Season Two features commentary tracks from the same series experts and die-hards: David J. Schow, Tim Lucas, Gary Gerani, Craig Beam, Reba Wissner and Steve Mitchell. They provide commentary for nearly every episode in the set, only two of the 17 are without a track, and “Soldier” comes with two commentary tracks. A bonus commentary track comes with Please Stand By —the original pilot for the series and an alternate cut of “The Galaxy Being”, presented in full, with a commentary by historian Eric Grayson, who reveals that the print used is from his own archive. It’s highly rare, and seeing it included here in great shape is an absolute treat. That’s not the only alternative cut included. Season One’s finale “The Forms of Things Unknown” was originally created by Stefano as a pilot for another series, The Unknown. That pilot is also included here, in full. 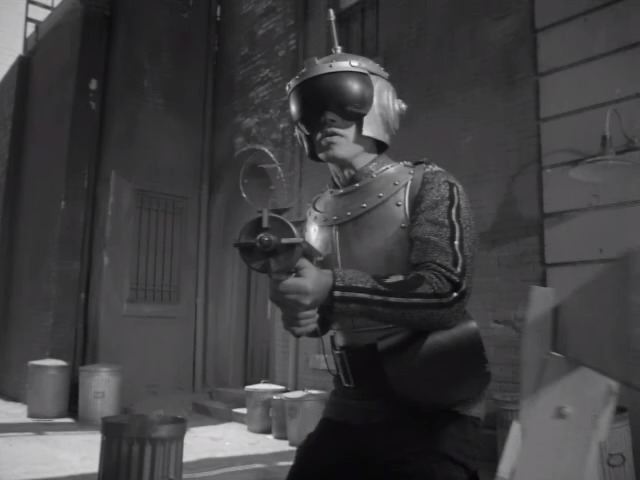 When the show didn’t sell, Stefano worked it into an Outer Limits episode. The Paley Fest panel from 2000 for The Outer Limits is included featuring many contributors to the show who are sadly no longer with us, including Schow, Robert H. Justman, Lou Morheim, Conrad L. Hall, Martin Landau, and Joesph Stefano. Schow also gives an essay in the included booklet, plus commentary over a reel of silent film showing the workings of Project Unlimited — the effects firm that handled many of Outer Limits’ creature and effects work. Schow is also featured in a short look at the shows 50th anniversary called “Creature Features” and an interview with Showtime—who produced the 1990s revival of The Outer Limits. Five TV spots for the show, and a 1963 Fall Preview with Edie Adams is included as well. 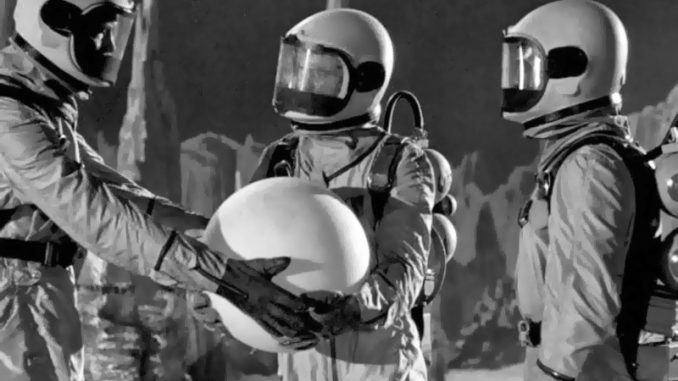 In my review of Kino Lorber’s Season One set, I mentioned that I had memories of seeing bits of The Outer Limits when it was broadcast by TNT in the ‘90s. Those memories are fully represented in this set. There is a significant portion of bonus material from those TNT “MonsterVision” broadcasts. 12 TNT promos kick off this run of material. These promos include interviews conducted by TNT with Robert Culp, Harlan Ellison, Martin Landau, Cliff Robertson, William Shatner, and Leslie Stevens. A full reel of host segments featuring magicians Penn and Teller are included, and a few of the full, raw interviews used for those TNT Promos. Watching these vintage TNT “MonsterVision” promos and host segments made me painfully nostalgic for a time when cable TV used to be a little bit weird, and very, very cool. Though Season Two is a step down from Season One, I can’t imagine that you bought The Outer Limits on blu-ray just to stop with the first season. Collectively this has been an amazing release by Kino Lorber Classics. 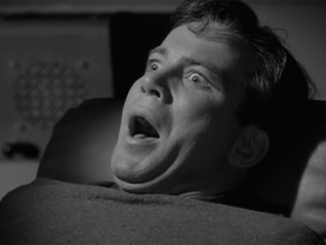 The fact that the entirety of the original 1960s Outer Limits series is now available on blu-ray, in collections that diehard fans used to only dream about, is a fitting reward. I’ve thoroughly enjoyed getting to explore The Outer Limits, and both sets get my highest recommendation. 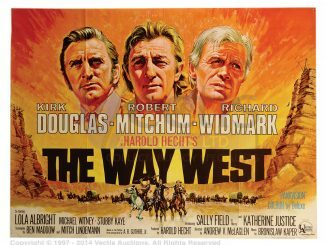 Classic movies on blu-ray are nothing new, but there are precious few TV series from the 1960s available. I really hope these sets will be tempting for a new generation to discover the series, and maybe ignite an interest in more shows from this era on blu-ray.